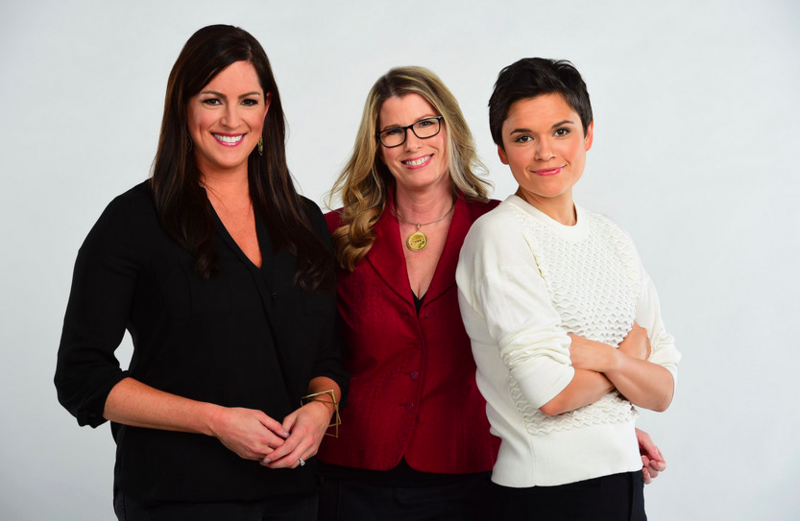 Announced earlier this week, ESPN is set to air their first ever all-female edition of The Sports Reporters Sunday morning at 9:30 AM ET on ESPN2. The panel will be moderated by Jemele Hill, and filled out by Kate Fagan, Sarah Spain, and Jane McManus. Those three should have some built-in chemistry, as they host the very good (and sadly not year-round) weekend ESPN Radio show The Trifecta. Hill has plenty of TV experience of her own, of course, going back to her days as host of First Take. She’s currently thriving in her role on His and Hers. What’s surprising isn’t that they’re doing an all-female version of Sports Reporters, it’s that they’re only now doing it. ESPN has plenty of incredibly talented women, and though these four are certainly among them, it’s not hard to imagine a weekly program with a rotating cast as well. Of course, the direction of The Sports Reporters is perhaps a bit up in the air, following the tragic passing of longtime host John Saunders. Mike Lupica is currently the interim host, though obviously he’ll step aside for this week’s addition. It’s very possible this is a trial run for a potentially permanent version of the program. That’d be a welcome addition to their weekend schedule. It’s good to see ESPN embracing the talent they have. Hopefully they continue the trend.